Micron Technology, Inc. (Boise, ID) scientist Gurtej Sandhu has developed structures and fabrication processes for producing carbon nanotube field effect transistors (FETs). The structure employs an asymmetric gate which is closer to the source and farther from the drain, which helps to minimize "off current" drain leakage when the drain is biased and the gate is otherwise off. The source and drain are preferably self-aligned to the gate, and preferably the gate is first defined as a conductive sidewall to an etched pad, according to U.S. Patent 7,687,841. Dielectric sidewalls are then defined over the gate, which in turn defines the positioning of the source and drain in a predetermined spatial relationship to the gate. The source and drain comprise conductive sidewalls buttressing the dielectric sidewalls. The channel of the device preferably comprises randomly oriented carbon nanotubes formed on an insulative substrate and isolated from the gate by an insulative layer. The carbon nanotubes are exposed via the dielectric sidewall etch, thus ensuring the gate's self alignment with the subsequently-formed source and drain. CNT FETs can be made with single-walled carbon nanotubes, or with multi-walled nanotubes (i.e., tubes within a tube and/or coiled sheets of carbon), and use of the disclosed techniques are likewise adaptable to the use of both types of nanotubes. Both types of tubes (single- or multi-walled) have different electrical properties, and the use of each can be benefited by the disclosed techniques by simply varying the CNT starting material (e.g., in the spin-on solvent). In fact, mixtures of single- and multi-walled carbon nanotubes could be used to fabricate a single transistor. 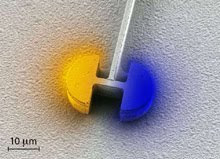 Moreover, the technique and transistor design disclosed are adaptable to the use of transistors which employ a single carbon nanotube as the conduction medium between the source and the drain. Should a single nanotube be used as the conduction medium, the disclosed techniques would need to be logically altered to locate such singular nanotubes at proper locations on the substrate. Reference to transistor terminals "source" and "drain" are synonymous in the context of an FET. Therefore, the disclosed transistor should be viewed as applicable to transistors in which the gate is also closer to the drain than to the source, as it is essentially random or a matter of preference as to what these terminals may be called in a particular transistor. United Kingdom First in World to Publish Government Wide Strategy for Climate Change: "Carbon Reduction Delivery and Adaptation Plans"
The UK Government is the first in the world to publish plans that will set out how every major department will address the challenge of climate change in the UK. The Carbon Reduction Delivery and Adaptation Plans detail each department’s commitment to minimize the damage of climate change, by reducing emissions and by preparing for inevitable change in the UK climate. These plans are being published alongside a single overview of what Government is doing: Climate Change: Taking Action – Delivering the Low Carbon Transition Plan and preparing for a changing climate. Publishing the plans Environment Secretary Hilary Benn said, ‘These plans demonstrate how each individual department will work to reduce emissions and adapt their own estates, operations and policies. Energy and Climate Change Minister Joan Ruddock said, “The overwhelming scientific evidence shows that human induced climate change poses a huge threat to the world and we must recognise the challenge this presents to all aspects of our economy and daily activities. “These plans show Government’s clear and unwavering commitment to reducing emissions, increasing energy efficiency and providing greater opportunities in the low carbon economy. UK, compared to the 1961-1990 average temperature. Our actions now will determine how dramatic changes are in the longer term. Carbon Delivery Reduction Plans set out for each department how the aims of the department relate to climate change, the measures they will be taking to ensure delivery of emissions reductions and the indicators and milestones being used to monitor progress. They are a recognition by Government that it is the responsibility of all departments to respond to climate change reflecting the fact that all activities have an impact on greenhouse gas emissions. Departmental adaptation plans include measures to ensure that the agricultural sector is prepared for the changes in farming practices and can take advantage of new opportunities; adapting the built environment – from green infrastructure in urban areas, to how flooding risk is considered; investment to manage flood risk and coastal erosion; heatwave plans; encouraging adaptation skills in the economy from engineering, planning and architecture, to developing new products and services. New Sustainable Development in Government (SDiG) indicator targets for reducing greenhouse gas emissions for its estates and operations across the whole of the Government estate and increasing the resilience of the Government estate to the impacts of climate change. Under the new targets, government will reduce its greenhouse gas emissions by 34 % by 2020 (from 1999/2000 levels) and increase waste recovery (recycling, external re-use, composting and energy from waste) to 80% of waste arisings by 2016/17. A discussion paper, The Natural Environment – Adapting to Climate Change, to stimulate debate about the future of our countryside in a changing climate. The UK’s sustainable development strategy Securing the Future designated the Sustainable Development Commission (SDC) as the Government’s official sustainability watchdog, scrutinising and reporting on performance. The SDC will continue to monitor the UK Government’s progress against its new SDiG targets. For more information on the watchdog function, see http://www.sd-commission.org.uk/pages/watchdog.html[external Link]. LANL news media contact: James E. Rickman, (505) 665-9203, jamesr@lanl.gov. The laser's length is smaller than its wavelength. It measure 30 micrometers (or 30 millionths of a meter) long, eight microns high and has a wavelength of 200 micrometers. The laser is much smaller than the wavelength of the emitted light from it. Normally, a laser cannot be smaller than its wavelength. The reason: in a conventional laser light waves move the optical resonator to oscillate - like acoustic waves in the sound box of a guitar. This is a "walk" of light waves - in simple terms - between two mirrors back and forth. And this will only work if the mirror than the respective wavelength of the laser is bigger. Therefore, normal lasers are limited in size. While other researchers have already experimented in the border area, "...we are clearly gone under the previously known limit, as we have developed a completely new laser concept," says Christoph Walther. As a result, the size of the resonator is no longer limited by the wavelength of light, but can in principle be arbitrarily reduced. This perspective makes lasers for the micro chip manufacturer especially interesting - as an optical alternative to transistors. If researchers manage to converge the size of micro-lasers with transistors then one day electro-optical chips could be built with a very high density on electronic and optical components," said Christoph Walther. This could accelerate the exchange of data between microprocessors significantly. Publication: "Microcavity Laser Resonator Oscillating in Circuit-Based" C. Walther, G. Scalari, M. Amanti, M. Beck, J. Faist, Science, Vol 327, page 1495 (2010). Researchers from the ETH Zurich's Department of Biosystems Science and Engineering (D-BSSE) have devised a new method for preventing and permanently eradicating the cause of gout. It involves implanting a molecular prosthesis consisting of a biological network that regulates the uric acid levels autonomously. However, uric acid is an important part of the human detoxification system, acting as a socalled "scavenger" of free radicals, which cause neurological disorders, brain diseases and tumors. A team of researchers headed by Professor Martin Fussenegger from ETH Zurich's D-BSSE in Basle has now succeeded in building a network of genes which permanently keep the uric acid concentration in check. The preliminary trials in mice have been encouraging. The research results were published in the journal Nature Biotechnology. In most mammals, the enzyme urate oxydase controls the uric acid level. As humans evolved from the apes, however, they lost this enzyme, which is why we suffer more from an elevated uric acid concentration. Researchers from ETH Zurich set about finding a way to rectify the defect and restore the subtle control of the uric acid level. With this in mind, they put together a biological network of genes called UREX. The individual components of UREX were "programmed" differently by the researchers: a uric acid sensor constantly gauges and controls the concentration in the blood. If the uric acid level reaches an alarming concentration, the sensor relays the information to a genetic circuit. This then makes sure that the third component of the network releases the correct amount of urate oxydase into the blood and that the uric acid level is restored to a healthy balance. The three components of the network thus communicate with each other and work independently and automatically — without any external assistance. The uric acid level can therefore be controlled permanently using UREX. The gene network is integrated in a single cell. Around two million of these cells are enclosed in a seaweed gelatine capsule measuring 0.2 mm in diameter to protect the cells against an immune response. Pores in the capsule ensure that the cell receives an optimal supply of nutrients, the uric acid level can be gauged by the sensor and the enzyme can find its way into the blood. However, the organism does not come into contact with the network's modified genes. Even if the method were used in humans, a direct intervention in the patient's genetic make-up would not be necessary. "In the case of diseases resulting from genetic defects, it might make sense to channel genetically modified material directly into the human cells. However, this also raises concerns as the material can no longer be removed", explains Martin Fussenegger. But this is not the case with the new method: the implant can be removed safely at any time and without any after-effects. For the ETH-Zurich professor, the result is a prime example of what the relatively new research branch of synthetic biology can achieve: "Many medical problems are solved by introducing chemical substances, i.e. medication, into the body from outside. In our method, we repair a defective metabolic pathway and help the body to treat itself in the best possible way." Martin Fussenegger refers to it fondly as a "molecular prosthesis" — an artificial aid that compensates for the evolutionary lack of urate oxydase. 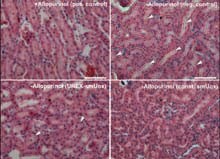 The team of researchers from ETH Zurich has successfully tested the UREX network on mice: as expected, the uric acid concentration in the blood decreased to a stable and healthy level, and the uric acid crystals in the animals' kidneys dissolved. The researchers have already filed a patent application for the network, but the next steps for its medical application are now in the hands of other partners. "We're confident that our network will complete all the necessary series of tests in the not too distant future, but in our experience it takes longer than you might hope for a finished product to reach the market", cautions Fussenegger. Once this one does, however, gout and kidney stones will be a thing of the past. Synthetic biology is a new branch of research that has only really emerged from an amalgamation of various disciplines in the last five years. Researchers from molecular biology, organic chemistry, engineering, nanobiotechnology and in-formation technology team up to develop novel molecules and proteins. The aim is to program entire cell systems in such a way that they can assume organ functions. Much like engineers who design successful, more efficient vehicles or computers from individual components, synthetic biology endeavors to improve the individual components of a complex biological system and hone them for new therapeutic purposes. This opens up a wide range of potential applications. ETH Zurich recognized the potential of this research area and founded the Department of Biosystems Science and Engineering especially with this in mind. The vision of ETH Zurich's youngest department is to establish itself globally as a center for synthetic biology. When most of us hear the word 'defect', we think of a problem that has to be solved. But a team of researchers at the University of South Florida (USF) created a new defect that just might be a solution to a growing challenge in the development of future electronic devices. On March 19th, 2010, the Federation of American Societies for Experimental Biology (FASEB) requested an appropriation of $5.24 billion for the Department of Energy, Office of Science in FY 2011. According to the testimony of FASESB President Mark Lively, Ph.D., before the House Committee on Appropriations, Subcommittee on Energy and Water Development, this figure is in keeping with President Obama’s vision for doubling the DOE SC budget. Further, it will enable the Office of Science to continue supporting essential research programs that enhance human health and quality of life, invigorate the economy, bring the nation closer to energy independence, and drive scientific innovation. The Office of Science is dedicated to investing in “the most exciting and daring research that human kind has ever conceived.” The programs and facilities of the DOE SC enable important discoveries in computational sciences, environmental and biological sciences, and energy sciences. For example, DOE scientists are developing tools such as hollow glass microspheres, tiny glass capsules that are half the width of a human hair, which have applications ranging from targeted drug delivery to hydrogen storage for batteries. Additionally, work at the DOE national laboratories is increasing the capabilities of supercomputers, allowing for more efficient access to data and faster processing speeds. This and other research funded by the DOE SC drives cutting-edge science and technological innovations that ensure our nation’s safety, bolster our nation’s economy, and improve the day-to-day lives of the American people. More than 25,000 researchers from various government agencies, academic institutions, and private industry use the DOE SC’s state-of-the-art laboratories and research facilities every year. National Institutes of Health: In research funded by the National Institute of General Medical Sciences, X-rays from the synchrotron are being used to study the structure of proteins involved in Alzheimer’s disease. The Office of Science also provides support to many graduate students and early-career postdoctoral researchers. Almost half of the DOE SC’s research funding supports projects at over 300 academic institutions nationwide. DOE-supported scientists are making remarkable contributions to human health. • Restoring Sight to Patients with Vision Loss: In conjunction with the National Science Foundation and the National Eye Institute, the DOE Office of Science helped to fund a team of ophthalmologists, engineers, and neuroscientists to create the first ever artificial retina. The groundwork for this development was laid by more than a century’s worth of basic research into the structure and function of the eye. By drawing on the work of anatomists, biochemists, electrophysiologists and others, scientists were able to create a device delicate enough not to damage the eye yet complex enough to provide visual input to the human brain. The resulting artificial retina has been shown to restore some level of sight to those who have lost vision due to retinal disease. By 2011, the research team expects to start clinical testing on a version that will allow reading and facial recognition. These studies are bringing new hope to patients who have gone decades without sight. • Improving Bone Regeneration: Following a fracture, the process of bone proliferation and healing takes several weeks, even months. A research team funded by the DOE SC is currently developing safe, effective, and inexpensive implant materials to improve this process and shorten healing time. They have identified a growth factor known as lysophosphatidic acid (LPA) that promotes bone regeneration with no detectable toxicity. What’s more, LPA can be manufactured at the fraction of the cost of the other bone healing stimulators that are currently available. The next step is for researchers to combine LPA with a hydrogel that, when injected around a damaged bone, will release the growth factor in a controlled manner. This research has the potential to significantly reduce recovery time for the eight million Americans who suffer bone fractures every year. 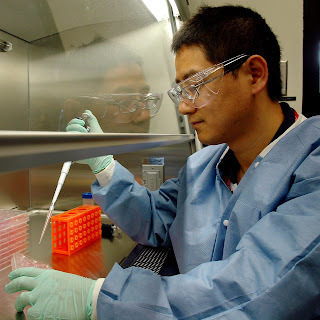 • Mitigating the impact of low dose radiation: The DOE Low Dose Radiation Research Program funds basic research to determine the effects of exposure to low doses of radiation. Researchers long ago established that ionizing radiation, which is present in a wide range of occupational settings, can lead to breast cancer by causing genetic mutations. Recent research DOE has funded, however, has revealed that exposure to ionizing radiation also acts as a carcinogen by affecting the cell proteins responsible for cell-to-cell communication and cellular structure. Thus exposure may result in breast or other types of cancer, even where genetic mutations are not detectible, and the damage can amplify by translating to subsequent generations of cells. Understanding the fundamental cell biology of radiation exposure paves the way for the development of treatments for and protections against low-dose radiation. Discoveries in fundamental energy sciences funded by DOE SC are already changing the way we use energy and paving the way for the next generation of environmentally-friendly, sustainable energy sources. Specifically, the Department’s newly-formed Advanced Research Project Agency-Energy (ARPA-E) is working on technologies to meet our most pressing energy needs. • Hydrogen Technologies: Hydrogen is one of the most abundant elements on the planet, making it an appealing clean energy alternative. However, almost all hydrogen is locked up in water and other compounds. Researchers at the Savannah River National Laboratory are working to advance the most promising method of extracting hydrogen from water – the Hybrid Sulfur Process. This two-step reaction is driven by electricity and heat, both of which can be generated by a nuclear reactor. This simple, efficient process is slated to be used in conjunction with next-generation nuclear plants and has the potential to produce enough hydrogen to power more than one million fuel cell cars. • Carbon Capture Technologies: Natural systems use an enzyme known as carbonic anhydrase (CA) to convert carbon dioxide to bicarbonate, which can then be transported out of tissue. A program funded through ARPA-E is working to apply this process to make the use of fossil fuels less environmentally damaging. The program will develop membrane technology for separating carbon dioxide from flue gas streams, using synthetic forms of CA. The synthetic analogue was created to be more robust than naturally-occurring CA, and thus able to function in harsh environments. This membrane technology developed by the DOE SC is one of many ways currently being explored to increase the efficiency of and reduce the cost involved in carbon capture. FASEB is composed of 23 societies representing more than 90,000 members, making it the largest coalition of biomedical research associations in the United States. Our mission is to improve human health and welfare by promoting progress and education in biological and biomedical sciences. "We hope the results of our study will be instrumental in generating a cure for the debilitating blindness associated with retinitis pigmentosa and other inherited and acquired retinal diseases," said Muna I. Naash, Ph.D., a researcher involved in the work from the Department of Cell Biology at the University of Oklahoma Health Sciences Center in Oklahoma City. "Compacted DNA nanoparticles are an exciting treatment strategy for these diseases and we look forward to exciting new developments." To make this discovery, Naash and colleagues used groups of mice with the retinal degeneration slow (Rds) gene, which causes retinitis pigmentosa. The mice received one of three types of "treatments:" nanoparticles containing the normal copy of the Rds gene, the normal gene alone, or saline solution. After these treatments were delivered to the mice, the structure and function of the retina were analyzed by comparing them to untreated mice with retinitis pigmentosa and healthy mice with the normal Rds gene. "Making the blind see was once called a miracle," said Gerald Weissmann, M.D., Editor-in-Chief of The FASEB Journal. "As we have expanded our understanding of evolution, genetics, and nanotechnology, chances are that "miraculous" cures will become as commonplace as those claimed by faith-healers past and present." FASEB comprises 23 societies with more than 90,000 members, making it the largest coalition of biomedical research associations in the United States. FASEB enhances the ability of scientists and engineers to improve—through their research—the health, well-being and productivity of all people. FASEB's mission is to advance health and welfare by promoting progress and education in biological and biomedical sciences through service to our member societies and collaborative advocacy. The enigmatic ability of ‘nanotwinned’ metals to display disparate physical properties—ultrahigh strength and ductility—has been explained by YongWei Zhang and David Srolovitz from the A*STAR Institute of High Performance Computing, Singapore, and National University of Singapore graduate student Zhaoxuan Wu1. The key lies in understanding how different types of dislocation propagate through nanotwinned metals in a manner not seen in bulk materials. Thin films of silicon are attractive for use in solar cells because of their low material cost and suitability for large-scale fabrication, but their power-conversion efficiency has so far been lacking. The efficiency of thin-film-based devices, however, could rival that of bulk silicon solar cells if the surface of the thin film is engineered on the nanoscale using the specifications suggested in a theoretical study by Junshuai Li and co-workers at the Institute of Microelectronics, A*STAR, Singapore1. Trapping light with nanostructures on the surface of thin-film-based solar cells can boost the solar-to-electrical power-conversion efficiency, explains co-author Patrick (Guo-Qiang) Lo. Constructing arrays of nanopillars on the film, for instance, prolongs the path traveled by the light, allowing for more scattering and therefore increasing light absorption, he notes. Before commencing their design, the researchers also had to consider that once absorbed, photons should efficiently generate electron–hole pairs that exist long enough to be separated in the electric field—generated in the standard p–n junction setup of solar cells—to give rise to a photocurrent. 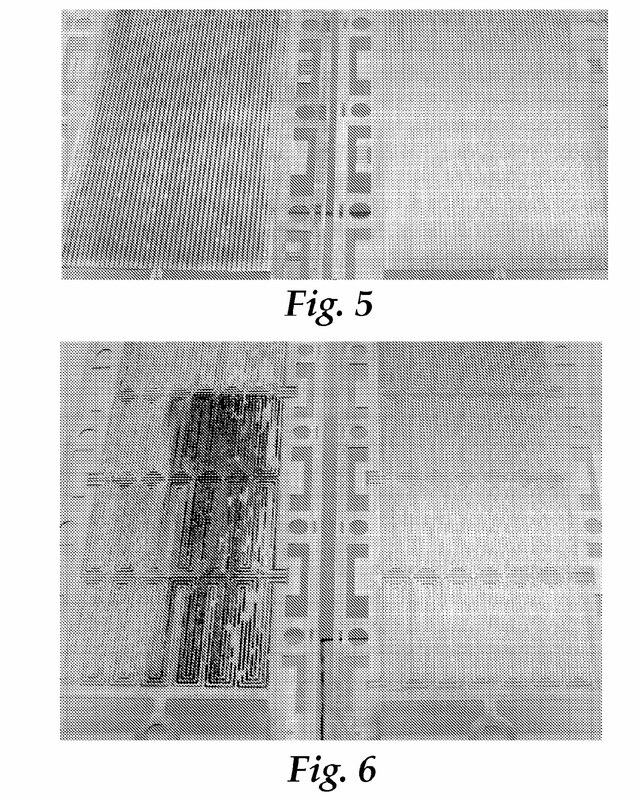 This meant that their careful and precise design involved a trade-off between the absorption of solar radiation and the efficient collection of the photo-generated carriers, which is sensitive to the detailed topographical variations of the patterned film. “Enhancing the power-conversion efficiency is a balancing act,” says Lo, “because the solar-radiation spectrum is composed of many different wavelengths with varying power intensities.” To provide a practical guideline for their design, Li and his co-workers systematically investigated the performance of nanopatterned thin-film solar cell devices, containing arrays of nanopillars and nanocones, using a combination of electromagnetic, quantum and electron transport theory. From the simulations, the researchers were able to determine optimized structural parameters, such as diameters, heights and periodicities of pillars and cones, giving the most efficient light-harvesting and collection of photo-generated carriers. Low-cost, large-scale production of the optimally designed solar cells is feasible because the nanopatterned devices are much thinner than their bulk counterparts and can be fabricated using standard silicon processing techniques. Furthermore, the simulations show them to be remarkably efficient. “Today’s thin-film efficiencies are typically around 10–12% whereas those of bulk silicon are 15–20%, with a record of 25%,” notes Lo. The cells simulated by the team, however, displayed efficiencies in excess of 25%. According to Lo, the researchers expect to be able to boost these values further by applying more advanced nanotechnological concepts, such as plasmonics. Adaptive Materials, a leader in manufacturing portable power through solid oxide fuel cells, was recently awarded $3 million through the Centers of Energy Excellence Program (COEE). The company will use the funding to support the commercialization of its fuel cells within the consumer leisure market. Adaptive Materials currently manufactures two different fuel cells. A 50-watt fuel cell that delivers portable power to soldiers in the field and a 250-watt unit that powers unmanned military vehicles. The company’s 250-watt unit is the basis for its RV and consumer leisure market fuel cell; Adaptive Materials’ fuel cells can provide the auxiliary power needed for TVs, radios, laptops, microwaves, and other creature comforts in an RV. Unlike other fuel cells that run on hydrogen or other hard to source fuels, inexpensive and globally available propane, butane and LPG power all Adaptive Materials fuel cells. “By focusing our technology on readily-available fuels, Adaptive Materials solved a problem associated with fuel cells: Consumers could certainly find need for a fuel cell, but no fuel to actually sustain the unit,” Crumm added. The COEE program, administered by the Michigan Economic Development Corp., supports the development, growth and sustainability of alternative energy sectors throughout the state. Adaptive Materials was selected for the COEE program because of its collaborative work with MichiganWorks!, University of Michigan and its supply-chain infrastructure for commercialization of innovative energy technology. The COEE program focuses on where the state has competitive advantages in areas of the workforce, intellectual property and natural resources but where funding is required to overcome technical and supply-chain hurdles that could prevent or stall the commercialization process. Based in Ann Arbor, Mich., Adaptive Materials, Inc. is the first company to develop, demonstrate and deliver a portable, affordable, and fuel flexible solid oxide fuel cell (SOFC) system. The company offers 50 and 250-watt fuel cell systems that are powered by globally available and energy dense propane, butane and LPG. Adaptive Materials’ fuel cell system provides portable power to the United States Armed Forces as well as industries including leisure, remote monitoring, and medical devices. For more information, visit www.adaptivematerials.com. BioNanomatrix, Inc., a developer of breakthrough single-molecule genomic analysis technology, has announced the issuance of U.S. Patent 7,670,770 for nanochannel arrays that enable high-throughput macromolecular analysis. Also disclosed are methods of preparing nanochannel array chips, methods of analyzing macromolecules such as entire strands of genomic DNA, and systems for implementing these methods. Dr. Han Cao, the company's founder and chief scientific officer, said: "This patent covers the fundamental method and device for isolating, imaging, and analyzing nucleic acid biopolymers confined within nanoscale fluidic channels. This invention allows for true linear analysis of very long biomolecules such as native genomic DNA hundreds of thousands of base pairs in length without cloning or PCR amplification. This transformative technology has single cell and single molecule sensitivity and will open many new opportunities in the biomedical field. We enable the analysis of intact, yet minute, biological samples without tedious processing and complex error-prone reassembly. This technology will change the way we design and do many biomedical experiments and analyses in the future. We are very excited about the official issuance of this key patent, which places BioNanomatrix in the forefront of this emerging field." Edward L. Erickson, president and CEO of BioNanomatrix, added, "Under our license agreement with Princeton Universitywe now have two issued patents. Additionally, the Company itself is currently prosecuting eight families of patents covering many aspects of our NanoAnalyzer® system." Single molecule analysis of intact native DNA has been limited by the difficulty of "linearizing" and manipulating these long, complex molecules. To address these limitations, a Princeton University research team, including Dr. Cao, developed a simple approach that uses a nano-fluidic chip to untangle and guide individual molecules into an array of nanochannels. This technique is ideally suited for multiplexed parallel processing for applications ranging from direct imaging analysis of structural variations in a person's genome to DNA mapping and sequencing applications. The NanoAnalyzer® is an integrated system that for the first time enables pan-genomic identification and analysis on a molecule-by-molecule basis, delivering single molecule sensitivity in a highly parallel format. It is designed to provide ultra high-resolution analyses of macromolecules, such DNA and proteins, and their interactions more rapidly, comprehensively, and cost effectively than currently available approaches. This technology promises many potential applications in diagnostics, personalized medicine and biomedical research. US Patent No. 7,670,770, was issued to Princeton University on March 2, 2010. BioNanomatrix is the worldwide exclusive licensee of the technology covered by this patent. BioNanomatrix is developing breakthrough nanotechnology-enabled genome analysis systems for applications in life science research, molecular diagnostics and personalized medicine. The company's platform technology permits users to image directly and analyze very long strands of DNA in real time at the single-molecule level, at both high resolution and very high throughputs. This technology has the potential to increase the utility of whole genome imaging and analysis for a wide range of research and diagnostic applications, providing fast, comprehensive and low-cost analysis of genomic, epigenomic and proteomic information. BioNanomatrix's technologies are licensed exclusively from Princeton University. Founded in 2003, the company is headquartered in Philadelphia, PA, and is backed by Battelle Ventures, Ben Franklin Technology Partners of Southeastern Pennsylvania and KT Venture Group and other institutional and private investors. For more information, visit: www.bionanomatrix.com. NanoAnalyzer is a registered trademark of BioNanomatrix, Inc. The names of other companies, other entities, products and/or services mentioned herein may be the trademarks of their respective owners.